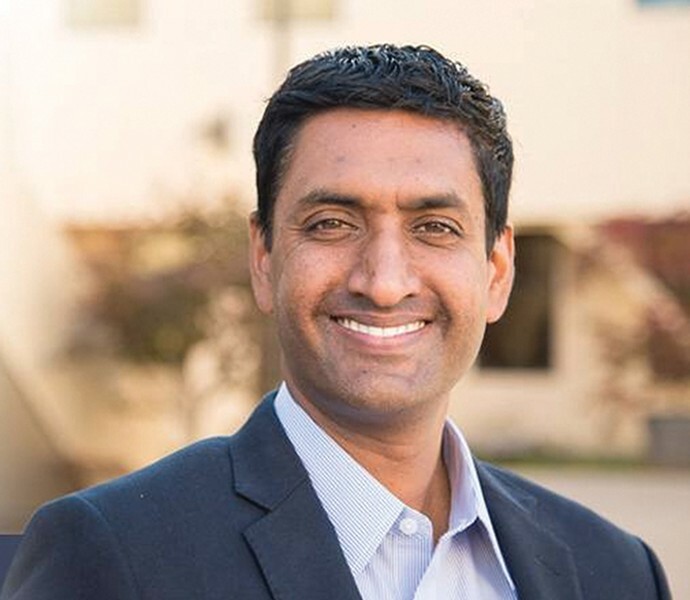 Congressional candidate Ro Khanna, a centrist, has enjoyed favorable coverage from the Chronicle. 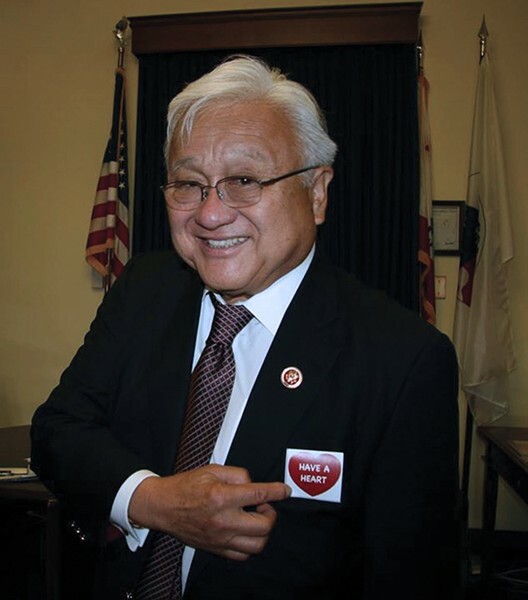 Journalist Carla Marinucci seems to have gone out of her way this year to record Congressmember Mike Honda's every misstep, no matter how small. 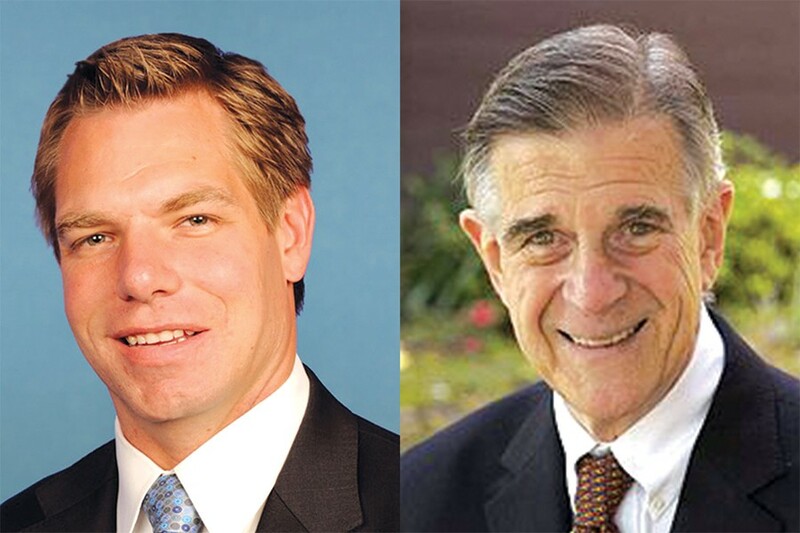 After helping propel Eric Swalwell (left) to victory over Congressmember Pete Stark (right) in 2012, Marinucci has continued to write positive stories about Swalwell. Some media critics say the problem is not that mainstream reporters, editors, and publications like the Chronicle are biased. After all, we are all biased in some way. The problem is that these reporters and publications steadfastly maintain that they are neutral, and constantly try to convince the public of this assertion, when there is ample evidence that they are not. Readers of the Express know full well that the paper has a bias toward liberal politicians, issues, and causes. We purposely make our bias overt. We're proud of our point of view and believe it's important to be honest with readers about where we're coming from. But we also try not to be blinded by political ideology. We strive to provide accurate, in-depth reporting based on verifiable facts; to hold liberals accountable when we believe they have done something wrong; and to give centrists and conservatives credit when we believe they're in the right. Sometimes called "advocacy journalism," reporting from a left- or right-leaning perspective has long been a tradition among alternative newsweeklies throughout the country and is practiced by numerous national publications, such as Mother Jones and The Nation on the left, and the National Review on the right. "Objective journalism," by contrast, is a construct of the twentieth century that coincided with the rise of mass media and storied journalistic enterprises like The New York Times and the Washington Post, and with modern professional journalism schools and associations. 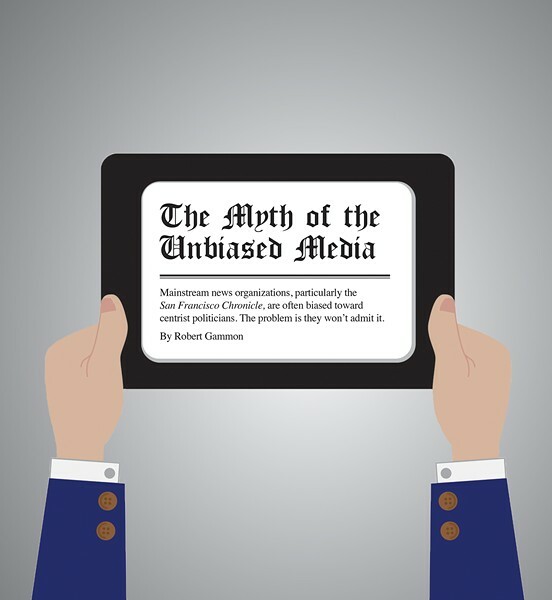 Over time, it became axiomatic that the most "trusted" form of journalism was unbiased, objective, and balanced — because it purportedly never took sides. It also was highly profitable, attracting both news consumers and advertisers from across the political spectrum. But it also drew critics, who argued that the mainstream press was, in reality, practicing a sort of "he said, she said" stenography, particularly in political reporting, in which "both sides" of a debate receive equal weight even if one side speaks the truth and the other spouts falsehoods. A classic example was The Times' decision in the Aughts to refer to the waterboarding of prisoners by the CIA as an "enhanced interrogation technique" rather than torture because the George W. Bush administration insisted on using the more innocuous-sounding phrase. At the time, The Times decided that referring to waterboarding as torture would have amounted to "taking sides" in a political debate, even though waterboarding — the pouring of water over a prisoner's face until he feels as if he's drowning — is clearly torture under any plain definition of the word. Many media critics also contend that such "he said, she said" reporting does, in effect, take a political point of view, because it seeks out a middle ground between two opposing sides and tends to prize compromise and pragmatism over liberal and conservative ideologies. Mainstream journalists "feel that, rather than take sides, they're going to be in the middle — but that's a political statement," Froomkin noted. The mainstream press' ban on allowing reporters to express political points of view also can force journalists into disguising their politics in different ways — such as taking it easy on politicians they like or zealously pursuing every nugget of dirt on those they do not. And sometimes, reporters may not even be consciously aware of what they're doing. "Basically, it comes from being prohibited from having any politics themselves — they're preferences, in fact, become hidden, and sometimes they're disguised even from the reporters themselves," Rosen said. 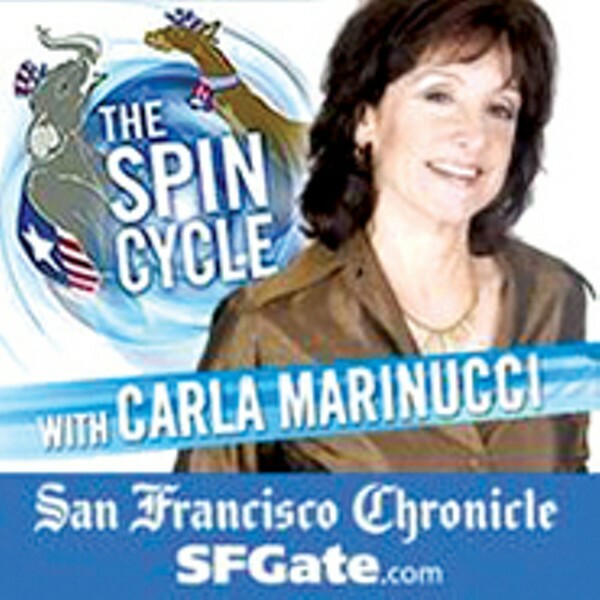 In a brief interview, the Chronicle's Marinucci denied that her coverage of political campaigns has been biased toward centrists and against liberals. "I stand by our coverage," she said twice. Before his upset of longtime liberal Congressman Pete Stark in 2012, Eric Swalwell was a little-known Dublin councilmember who had served just two years as an elected official. Redistricting two years earlier had made Stark's Congressional district more moderate politically, and Prop 14 opened the door for an ambitious centrist to launch a competitive run against him. Swalwell's campaign painted Stark as a Washington, DC insider who was out of touch with his constituents and prone to crude outbursts. Marinucci amplified this message with a series of stories and blogposts during the 2012 campaign that were highly critical of Stark and repeatedly questioned whether the longtime Congressman was fit for office. For example, after an endorsement interview that Stark had with the Chronicle, Marinucci wrote a piece titled "Dazed and confused?" The story ridiculed Stark for confusing solar company Solyndra with electric carmaker Tesla — two Bay Area businesses that had been in the news quite a bit at the time. Another Marinucci story, "Stark raving Pete?" was based on a single source — ex-Assemblymember Alberto Torrico — who claimed that Stark had erupted into an "angry tirade" because Torrico had endorsed Swalwell. Marinucci then employed the stark raving mad metaphor one more time in a story titled "Stark raving again?" which concerned a political attack ad from Stark's campaign against Swalwell. The ad accused Swalwell of engaging in pay-to-play politics with developers. But Marinucci contended that Stark was being hypocritical because he had solicited campaign donations from a homebuilding trade group. However, Marinucci chose not to write about the pay-to-play politics to which Stark was referring. Instead, she continued to remind readers that Stark had accused Swalwell of taking "bribes," and then had apologized for it. But as the Express noted in an October 2012 report, there was ample evidence of pay-to-play involving Swalwell (see "Eric Swalwell and Pay to Play," 10/24/2012). As a Dublin city councilmember, Swalwell had voted to award a no-bid contract to a local garbage company after four executives from that company had donated more than $15,000 to his campaign. In addition, Swalwell had accepted thousands of dollars in donations from a development team just days after he voted in favor of the team's request to rezone Dublin property. Some cities, including Oakland, forbid such pay-to-play donations because they can be construed as bribes, but Dublin does not. It's undoubtedly true that Stark made a series of verbal gaffes and missteps during the 2012 campaign, but it's also true that the twenty-term Congressman had long had a reputation for making outrageous comments, such as when he declared on the House floor that President George W. Bush "got off" for the Iraq War. It wasn't until a moderate candidate like Swalwell challenged Stark — and appeared to have a shot a beating him — that the Chronicle and Marinucci began to closely scrutinize Stark's every move and write about his mistakes. After helping propel Swalwell to victory in 2012, Marinucci continued to write positive stories about him, portraying him as courageous for holding town hall meetings with constituents and for "gamely" taking questions from voters. At the same time, she chose to not write about some of his more questionable moves in office. Last year, for example, he voted against extending unemployment benefits to nearly two million Americans before later reversing course. Likewise, he had backed a proposal to allow the government to monitor personal internet histories without a warrant, and then changed his mind after disclosures by whistleblower Edward Snowden showed widespread abuse by the National Security Agency. Then when Swalwell falsely stated at a candidate forum in May that he had not supported the proposal to allow internet companies to spy on Americans, Marinucci chose not to write about it again, even though she was in attendance. Marinucci is exhibiting the same type of bias in this year's Congressional race between liberal Mike Honda and centrist Ro Khanna, according to liberal political observers. "I think there is a bias against Mike, in particular," said Ben Field of the South Bay Labor Council, which is backing Honda's campaign. Marinucci seems to have gone out of her way this year to record Honda's every misstep, no matter how small. For example, she thought it was newsworthy in July to point out that the outgoing voicemail recording on Honda's Washington, DC office phone still stated "15th District," when it should have been changed to "17th District," because legislative districts had been renumbered through redistricting. Marinucci also has repeatedly noted that redistricting resulted in Honda's home no longer being in his district — a problem he did not create. She also has written about videos that show Honda with his eyes closed, saying that it looked like he was taking a nap during important events — even though his staffers say he often closes his eyes when thinking. And while Khanna has taken a page from Swalwell's playbook and has attacked his incumbent opponent relentlessly for allegedly being out of touch, Marinucci chose to criticize the Honda campaign for attempting to link Khanna to the Tea Party, writing in a blogpost that Honda's backers had "taken the nuclear route," and that they did so because Honda "may be very nervous" about Khanna. Marinucci then lauded Khanna's support from the tech world, saying he has "a roster of star backers who include some of Silicon Valley biggest names." As noted previously, the apparent admiration that Marinucci and the Chronicle have for wealthy political campaign contributors from Silicon Valley is striking. In their world, big-money tech donors are not special interests seeking favors from politicians, they're "royalty," "tech royalty," "Silicon Valley royalty," "luminaries," "stars," "brightest stars," "tech stars," "star players," and "A-listers." But Marinucci's favoritism toward moderate politicians extends beyond the Swalwell-Stark and Khanna-Honda races. Over the years, she has penned several positive stories about Governor Jerry Brown, who appears to be her favorite politician. In a fawning profile last year, she described him as an "energetic, 75-year-old political silverback," and wrote that his dog Sutter Brown is "a brilliant ambassador for the everyman Democrat." Marinucci also often references her favorite Jerry Brown quote, in which he sums up his brand of centrism, likening it to canoeing: "You paddle on the left, you paddle on the right, and it takes you straight down the middle." Marinucci trotted out that quote yet again in another puff piece that she wrote about the governor and his long political career, published last Sunday by her paper on the front page. Many media critics say that mainstream press bias toward centrism is pervasive nationwide and has been for a long time. In the Bay Area, it's been particularly noticeable in local election coverage. In Oakland, for example, Mayor Jean Quan, a liberal, has been the target of numerous negative news stories — even about whether she had been using her smartphone while driving. "The Chronicle has been so hard on her," City Council President Pat Kernighan said in a recent interview (Kernighan is not supporting Quan for reelection). "Their coverage has been totally unbalanced. There are times when she deserved to get beaten up in the press — but not like that." Quan believes the negative press she has received is the product of sexist — and perhaps even racist — coverage. Elmano Gonsalves, an Oakland native who launched a campaign earlier this year to expose what he views as media bias against Oakland, believes that some of the negative coverage Quan has received is a product of a San Francisco-centric media that doesn't like his hometown. "It seems like they go after Jean Quan for everything," he said. "But [San Francisco Mayor] Ed Lee doesn't get that kind of scrutiny." Indeed, the free pass that Lee has received in the mainstream press is noteworthy. But it's also strong evidence that local press coverage has not been racially motivated: Lee and Quan are both of Chinese descent. There's also little evidence that the Bay Area mainstream press has been biased against female politicians. US Senator Dianne Feinstein, for example, has enjoyed extremely favorable news coverage in the Bay Area (while Stark and Honda have not). It's worth noting that Feinstein is a moderate. "I think it's clear that [Quan] is a target because she's a progressive," said Tim Redmond, a longtime liberal San Francisco journalist and former editor of the Bay Guardian, a progressive alt-weekly that shuttered last week. Redmond has long contended that the Chronicle and other Bay Area mainstream news organizations have sought to marginalize — and even villainize — both liberals and conservatives. "They're much more critical of people who are at the end of the political spectrum," he said. But some critics contend that media bias itself is not the problem. 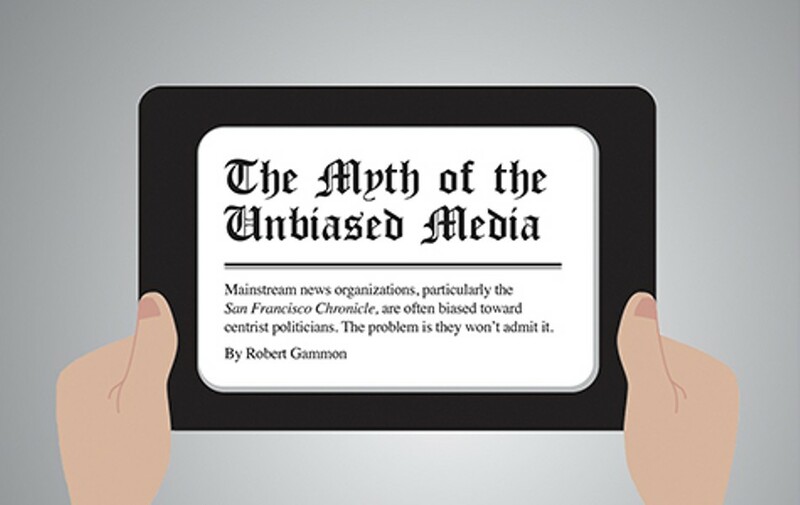 The problem is that the mainstream press adamantly maintains that it's unbiased. As a result, mainstream news consumers often wrongly assume that they're reading "objective" political coverage when such a thing may not exist. The belief that objective journalism is the most trustworthy form of news reporting is still a dominant paradigm, however, and is unlikely to change any time soon. Still, the media landscape is evolving. NYU journalism professor Rosen contends that digital news consumers are increasingly skeptical about what they read, and expect journalism — whether its objective or advocacy journalism — to be more transparent.